As a small business owner, it’s challenging to know which social media channel is worth your time and money. You know that you only have a few seconds to capture your ideal client’s attention and you worry that you won’t stand out enough…. if you even get noticed by anyone at all. You even have an experienced copywriter creating great blog posts and email marketing blasts and yet, your open rate is consistently less than 10%. To keep your business afloat, you need qualified leads and you need them fast. Enter YouTube. Yes, YouTube is the social media giant that will transform your business and there are a few reasons why. • People retain 80% of what they see and only 20% of what they read. • 85% of users are more likely to buy something they are introduced to in video form. • Video increases email clickthrough rates by 300%. • 70% of marketers say that video is responsible for most of their conversions. So can you picture convincing 85% of your clients to buy something they see in one of your videos or increasing your email open rate by 300%? Imagine what you can do with that many more leads looking at your product. YouTube can be intimidating but it doesn’t have to be that way. The best videos are often the simplest. You don’t need to purchase fancy equipment but there are a few key things you should have before setting up your YouTube channel for your business. • A quality camera, whether that’s just your desktop computer or even an iPhone on a tripod. • Clear background. You don’t necessarily need a backdrop but the background behind you should be uncluttered and clean. • Quality lighting. Your face should be fully and naturally lit. • If your sound quality isn’t up to standards, consider purchasing a small headset or microphone to record your videos. It’s important that your business branding is consistent on all of your social media channels and YouTube allows for a lot of customization. You can upload a picture, add your logo, and describe your business with your hashtags or taglines. On a quick glance, a potential customer should immediately figure out who your business helps, what it does, and the next steps to learn more about it. What should your video look like? Now, this is the part where you and your team can really get creative – even if you’re not “video” people! The most important part of your video content is that the audience personally connects with you and your brand and gains trust in your business – all of which can be accomplished with a simple video. Choose the method that makes the most sense for your business. For example, if you’re selling a toy, it makes sense to do a product demonstration but if you’re selling software, it makes sense to do a screenshare demo. The key thing to remember is that your video content needs to provide value or solve your client’s problem. Every video should request the viewer to either subscribe to your channel or visit your website so you are keeping them in the constant loop of consuming your content. Videos should be about 3 to 4 minutes long. Often even shorter videos work best, especially those meant to be shared on social media. See what length works for your audience. How will your audience find your videos? YouTube has a search engine built in that you will need to take advantage of to build an audience. Use your SEO guru to help you search for keywords and key phrases to include in your descriptions and video titles. 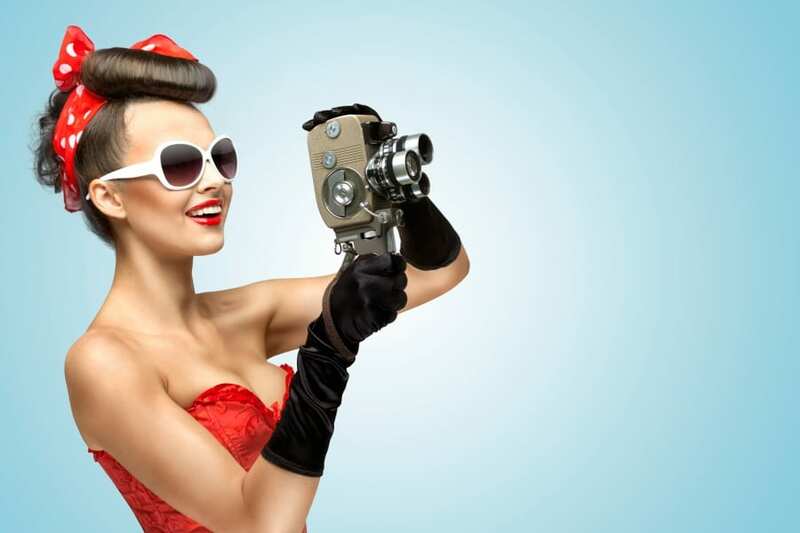 Your video titles should be exciting and spark curiosity so the audience wants to learn more. Once you post your video, you need to use your other social media channels to promote your video. Re-post it on Facebook or send an email blast to your current leads with your video linked or offer an incentive bonus if they watch your video, such as 10% off their next purchase. The comment section is key on YouTube and you should spend some time engaging with any audience members who post a comment. You should also search for other videos within your network and comment on their videos. What should you do after you post your video? The follow up to your video is just as important as the content itself. Like and comment on other videos uploaded by other users. Not only might those users stumble upon your videos and channel, but anyone else who sees that comment or like might as well. Do this with videos that share a similar topic, interest or theme to attract new viewers.5 In order to build an audience, consistency is key! People will want to know when you release your new video so they can follow along. Without consistency, you may fall off their radar. For example, you may want to choose one day a week or one day a month. If you have trouble thinking ahead, create a marketing calendar for all your video releases. This will also help you organize the content ahead of time and arrange any supplies you need for your video. Since Google is constantly picking up new content, the more you have, the better. The final thing you can do after you’ve built up your channel is to reach out to other vloggers and influencers on YouTube. They may have a much larger audience that you can leverage for your products or services. Some charge fees for sponsorship posts but if you find an influencer that matches your business niche and ideal client profile, it may be worth the investment for the outcome of increased views. Not only is YouTube a great platform to engage more viewers and increase business leads, it also helps position your unique brand as a trusted and expert source of information and problem-solving. While it can take time to grow an audience, we are confident it is worth the investment and will help you connect with your ideal client on a personal level. Would you use YouTube for business? If you’re still overwhelmed by the steps outlined above, don’t forget that Topo specializes in social media management and content creation. Why not hand the reigns off to experts who can do all this and more for your business?